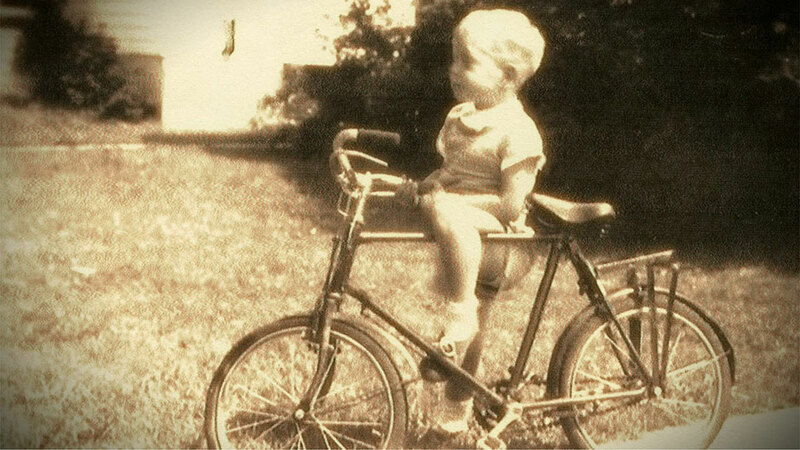 He was called chairman of the boards. Not for a crashing style but for his ability to control the play, angling an opponent to the dasher and tying him up. 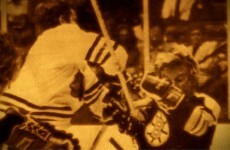 He was considered a clean hitter whose hip check was among the best in the National Hockey League. It was this type of performance that carried the 6-foot-3 workhorse to an 11-year association with the Chicago Black Hawks and another two with the New York Rangers during a fine NHL career. 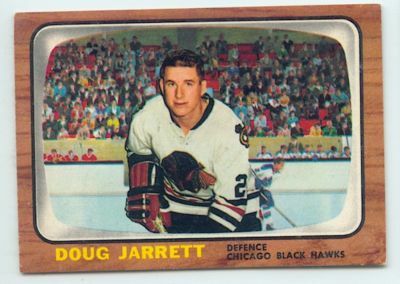 He is Doug Jarrett, born in London on April 22, 1944 and the first product of the London Minor Hockey Association to reach NHL status. He began his career with the Wheable Secondary School Warriors and the LMHA Midgets where he caught the eye of the Black Hawks. 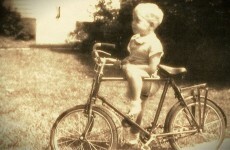 Suddenly in 1960 Doug was off to the St. Catharines Teepees of the OHA Junior A league, the forerunner of the OHL. 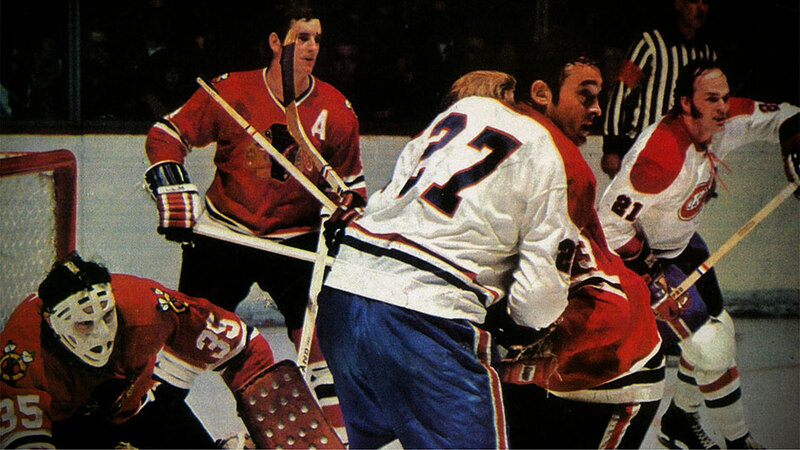 The Teepees, later the Black Hawks, were a prime affiliate of the parent NHL Chicago organization. Many of their alumni stepped right from junior to the big dance — hall-of-famers such as Bobby Hull and Stan Mikita. power play because he was so cool and confident in key situations. 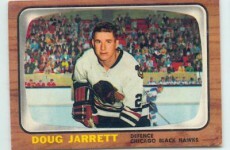 He was named to the OHA first all-star team in 1964. 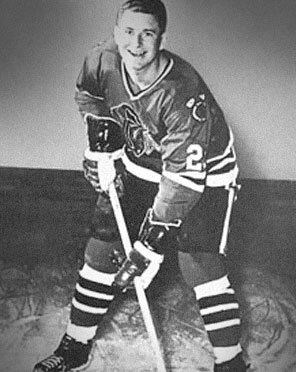 In his rookie pro season Doug split his time with the NHL Hawks, St. Louis Braves of the Central Pro league and the Buffalo Bisons of the American League. 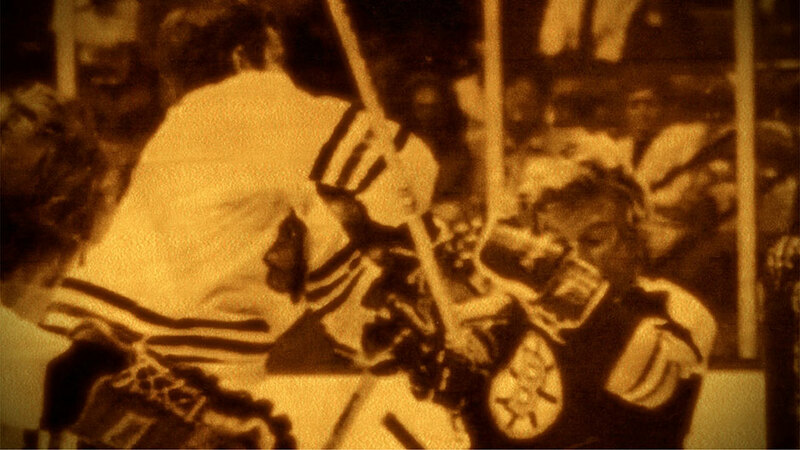 His first full NHL season came in 1964-65 and he remained a fixture on the Chicago Blueline for nine more years often forming an effective and physical pairing with the late Keith Magnusson. In 1975 despite being named to the NHL all-star team the previous year, the Hawks sent him to the New York Rangers in return for veteran goaltender Gilles Villeneuve. He played in only parts of the next two seasons with the Rangers due to injuries and finished his career with the AHL New Haven Nighthawks in 1977. All told Doug’s NHL log shows he appeared in 629 regular season and playoff games. He scored 68 goals, collected 150 assists for 218 points and gathered 732 minutes in penalties. 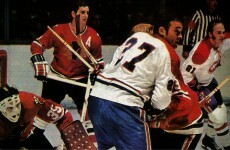 Although he never played on a Stanley Cup winner, he was a member of the Hawks when they reached the finals in 1971 and 1973. Doug was honoured in 2004 as a London’s Hockey Man of Distinction. The London Sports Hall of Fame is pleased to add to that award by including him as a 2011 inductee in the athlete legend category.